In collaboration with Red Hat, we have published several of the most popular BitNami Stacks as RHEL-based AMIs for the Amazon Cloud! The BitNami applications currently available as RHEL-based AMIs are: Drupal, Joomla!, Dokuwiki, Moodle, eZ Publish, Gallery, Mantis, phpBB and Piwik, with support for Alfresco, JasperServer and other applications coming soon. We also added RHEL support to BitNami Cloud Hosting. Read the announcement. 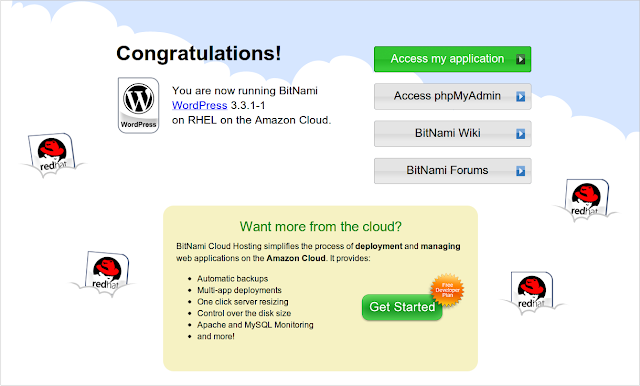 On Monday, we announced BitNami Application Library subscriptions, which brings BitNami to private and public clouds. With a BitNami Application Library subscription, cloud hosting companies and IT departments can bring the simplicity of BitNami application deployment to their own clouds! Read the announcement. The new BitNami WordPress Multisite Stack addresses one of the most popular requests in our forums - out-of-the-box support for Wordpress Multisite. A WordPress Multisite Network is similar to a WordPress blog but it lets you create more blogs on demand. It is a collection of sites that share the same WordPress installation, plugins and themes. Read the announcement. 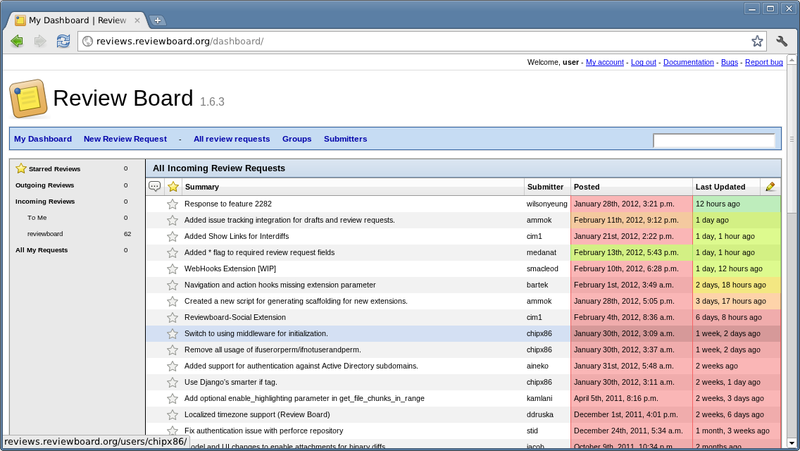 We welcomed another new addition to the BitNami family this week: Review Board. It provides a powerful web-based code review tool that offers developers an easy way to handle code reviews. It scales well from small projects to large companies and offers a variety of tools to take much of the stress and time out of the code review process. As with all BitNami applications, Review Board is available as a native installer, virtual machine image and Amazon cloud template (AMI). Review Board will also soon be available in BitNami Cloud Hosting, allowing it to be deployed to the Amazon cloud in one click and have it automatically backed up and monitored. To round out the week's announcements, we updated the BitNami DjangoStack to include the Python interface to Amazon Web Services (boto). We have updated it to the latest version (2.2.1), which includes support for AWS latest service, Amazon DynamoDB.